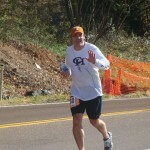 In 2010, I received an invitation to run the Ragnar Relay in Tennessee. 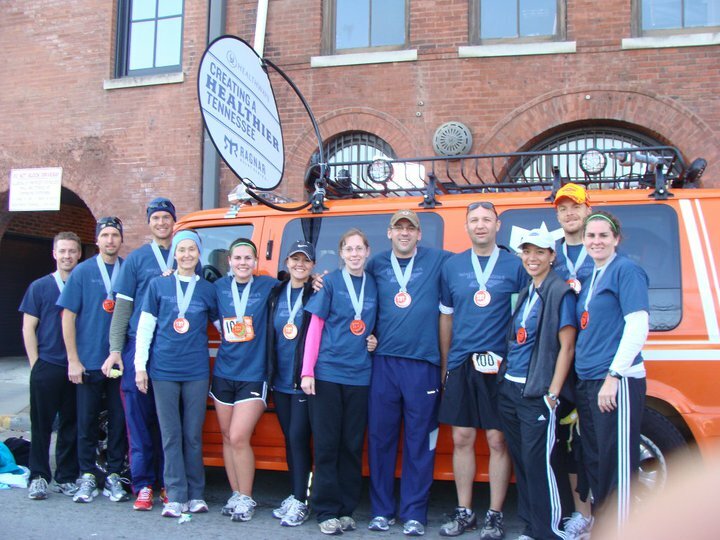 This Ragnar event is a 200 mile overnight running relay race from Chattanooga to Nashville. Normally teams are made up of 12 individuals; each individual runs 3 legs. I had just been through a particularly difficult period of my life that left me quite shaken. It may seem weird, but at this point of my life, the thought of working toward and conquering a challenge like Ragnar appealed to me. So I eagerly accepted the invitation. As I reviewed all 36 legs of the relay, I was drawn time and time again to Leg #7. 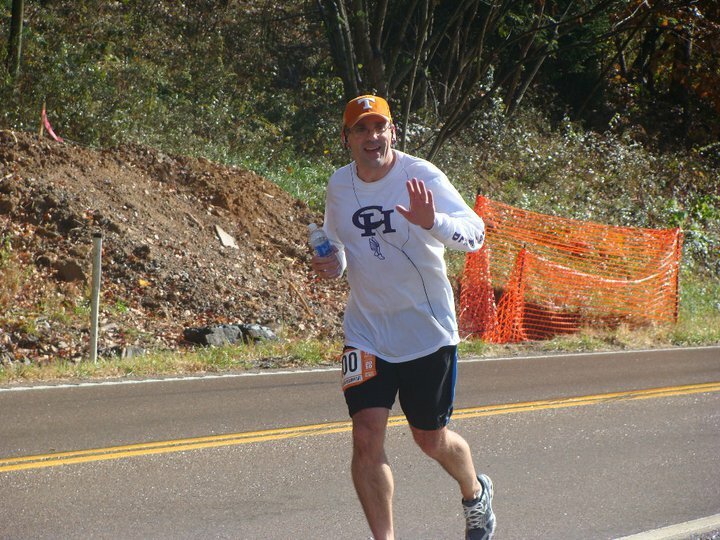 This leg of the race ran 5+ miles up the side of Monteagle Mountain. It was an almost all uphill run ascending approximately 1300 feet. I hesitantly requested and was given Leg #7. After months of training and preparation, Race Day came. I went to my first exchange point to wait for Heidi (Leg #6) to arrive and hand me the baton. While waiting, I stretched, warmed up, and looked over at the mountain often in anticipation. I felt fully prepared. Upon receiving the baton, I confidently set out. However, about 100 yards into the run, I looked over and saw something that I had not seen before. It had started raining on the mountain. For a moment, I considered turning back to get my rain gear. But I figured that it was only 5 or so miles. Plus I had run in the rain before. I had already committed so I continued forward. Sure enough, about a half mile later, I caught up with the down pour. After a mile, the rain stopped and the sun poked through a cloud. I got excited, thinking that was the worst of it. But then a few minutes later the rain returned and continued for another mile. The rain dried up again at about the 3 mile mark. All of the this served as an odd distraction to the increasing steepness of the incline . For the next mile, though it was dry, I had to focus on the uphill. Then just before mile 4, the rain started again. I laughed out loud. What a crazy run! While in that thought, I felt something new. I was more than just raining. It had started sleeting as well. Finally, a few hundred yards later, giant snow flakes entered the precipitation mix. I was actually running up hill in rain, sleet, and snow! Again, I laughed out loud . . . . nervously. I still had over a mile to go. The conditions were somewhat less than optimal. And at this point, my body began to protest. My breathing was tired. My quads were burning. I was trying to focus and stay on pace. But it was difficult. In spite of all the training and preparation, there began a real wrestle in my mind over whether or not I could successfully complete this purposefully chosen challenge. Suddenly, I heard a song begin to play on my iPod. It was a song with very annoying beginning that my daughter played for me on a road trip. (She thought it was funny because it was so annoying!) But it was the perfect thing to interrupt the internal debate. Plus the tempo perfectly matched the pace that I wanted to keep. The last mile became a pleasure to run. The slope, the weather, the soreness, none of it seemed to matter. I continued upward until, finally, a collage of umbrellas and rain gear came into view. I arrived at the exchange point laughing and happy. I handed the baton off to my teammate, Amy, who was smiling as I recall. This story is one my life’s coaching moments. I learned a lot that day. I had signed up for something that I knew ahead of time would be difficult, but potentially thrilling. I prepared and trained, both physically and mentally. It turned out to be much more difficult than I could have imagined. But it also turned out to be more thrilling than I could have ever dreamed. Quite often, what we sign up for is vastly different from what we end up having to do. Sometimes, it tests us in unexpected ways. But for me, one of the lessons is to keep moving. There is a gift in continuing. By the way, the song, “Dance Anthem Of The 80’s” by Regina Spektor is still annoying. But I love that song!! And I love my daughter for giving it to me!